Search Results for "barack obama"
Coastal road Barack Obama Drive in Dar Es Salaam. Tanzania, Africa. President Barack Obama welcomes home the troops from Iraq at a speaking engagement in Ft. Bragg, North Carolina. 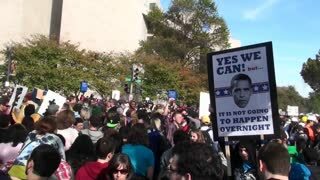 A Barack Obama poster at the Jon Stewart rally in Washington DC. 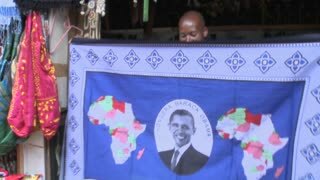 A vendor holds up a blanket with Barack Obama picture on it in kenya. 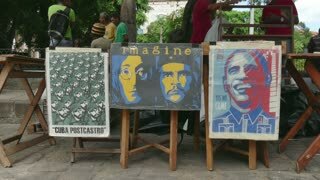 A sign in an alley features a picture of Barack Obama and says Big Brother Is Watching You. Investco Field erupts with cheering and flag waving as Senator Barack Obama accepts his party's nomination for President during the 2008 Democratic National Convention in Denver Colorado. Presidential Nominee Barack Obama addresses a packed Investco Field about the scare tactics of the Republicans at the end of the 2008 Democratic National Convention in Denver Colorado. Presidential Nominee Barack Obama and his Vice Presidential pick Joe Biden celebrate with their families as confetti falls at the end of the 2008 Democratic National Convention in Denver Colorado. Bill Clinton gives delivers a pro barack obama speech at the 2008 Democratic National Convention in Denver Colorado. A packed stadium at Pepsi Center clap and cheer as Bill Clinton delivers a pro Barack Obama speech at the 2008 Democratic National Convention in Denver Colorado. A packed stadium at Pepsi Center as Bill Clinton delivers a pro Barack Obama speech at the 2008 Democratic National Convention in Denver Colorado. President Barack Obama meets and greets voters at a fund raiser in la Jolla, CA. Zoom out from Presidential Nominee Barack Obama and his family as a packed Investco Field claps, cheers and waves flags at the end of the 2008 Democratic National Convention in Denver Colorado. Fireworks explode over Investco Field as Senator Barack Obama accepts his party's nomination for President during the 2008 Democratic National Convention in Denver Colorado. Former President Bill Clinton is mirrored on the big screens behind him as he delivers a pro Barack Obama speech at the 2008 Democratic National Convention in Denver Colorado.